There is no love like a father's love. Father Love explores the concept of love as it is described in the word of God, and considers its application for dads. The book encourages and inspires a father to give his child what no one else on earth can... his best, fully-developed Father Love. The newly released companion Study Guide is suitable for individual study and for small group discussions. Formatted in 13 one-hour sessions, it is perfect for men's groups. 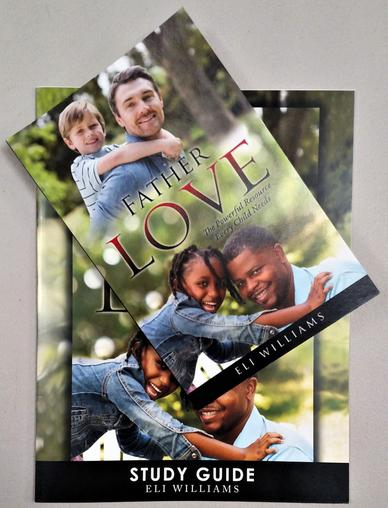 Eli is a husband, father, grandfather and minister. He is the president and co-founder of Urban Light Ministries which provides a weekly after school program that serves 600 children. ULM operates a growing fatherhood program that annually impacts over 500 dads and their kids. His passion for fatherhood is rooted in his upbringing and is stoked by his personal work with fathers. Many of whom, for a wide variety of reasons, endure heartache and face tremendous barriers to full participation in the raising of their children. He penned Father Love in the hope that it would encourage and inspire fathers to make every effort to be a big part of their children's lives. He challenges dads to move from good to great as protectors, order keepers, providers and stabilizers. 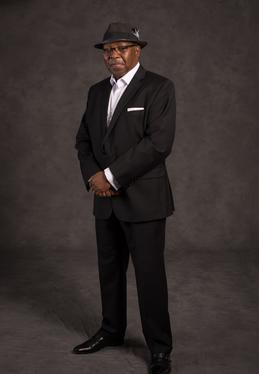 Eli is the host of the weekly syndicated gospel countdown show Hot Gospel 20 (www.hotgospel20.com). He is a pastor at New Hope Church in Springfield, Ohio where he is deeply involved in serving his community. Urban Light Ministries has been providing programs to fathers in the Springfield, Ohio and Clark County area for over 20 years.